There are plenty of free event services out there on the web that you can use to create, manage, promote, and track local events. 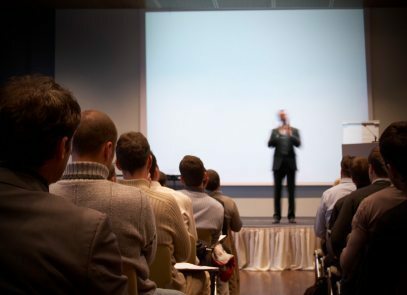 Here are a bunch of free services that will help you market your next event online. 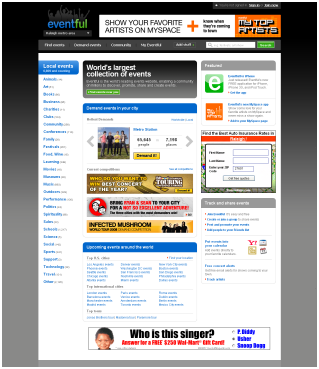 Eventful will allow you to search, create, promote and track online events in your local area. 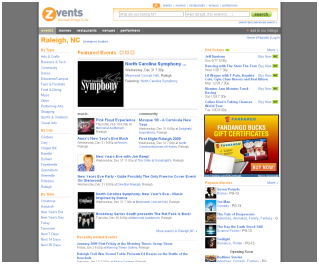 Search by location or category to make it easy to find the events you want to attend. You can also keep track of your favorite events by added them to your calendar. Eventful will also all you to create a profile, group, and friends list to stay in touch with family, friends, colleagues or industry leaders. 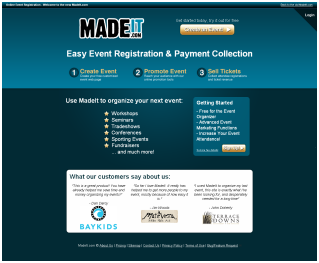 Madeit is more of a web based events management software, that will allow you to create an event, promote it, and manage payments. Because they manage payments, they do charge a transaction fee. They make it extremely easy to get started by filling out some basic information about you and your event. They will also provide the tools to plan, manage, and promote your event, manage ticking and more. 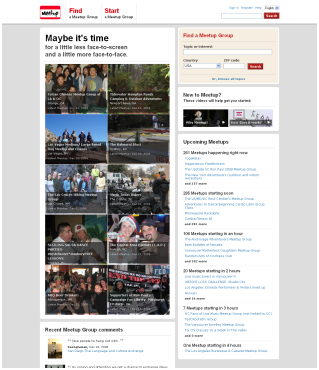 Meetup is probably the most mainstream event website on the web currently. Meetups niche is allowing people to create local groups and “meetup” at local establishments in the area. 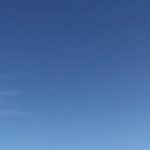 Their goal is to create an environment that is easy for industry people and groups to meet, interact, discuss, and share topics that matter to them. Upcoming, is a service provided by Yahoo! Create, manage and track your local events in your area. Upcoming makes it easy to become friends with people who share the same interests and passions as you do. You also have the flexibility to create public or private events, depending on what type of crowd you are looking for. Zvents is more of a broad local search, allowing you to search for restaurants, venues, performances, movies, meetups and more. Their goal is to allow people to discover all sorts of things to do in their local town, city, or state. 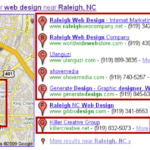 With their advertising network, this may be a great opportunity to market your local listing. Center’d is geared around connection people, places and plans. They want to make it easy for local people to interactive with each other. 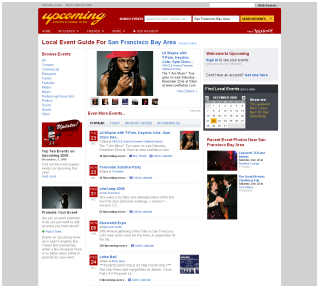 It is also extremely easy to organize all of your local friendly, events and plans with their simplistic navigation. 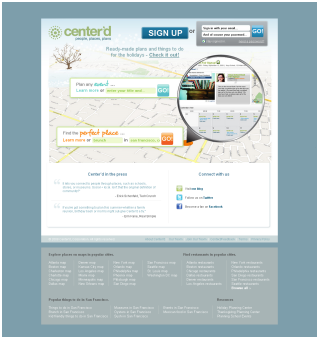 Center’d is relatively new, compared to some of the other event sites, however they have already made a huge splash and are looking to keep add new features to the site.